Doremi Harukaze, 3rd grade student at Misora Elementary School, claims to be the world's unluckiest pretty girl. Fascinated by witchcraft, she is drawn into a mysterious shop where she meets Majo Rika and is able to deduce that this lady is in fact a real witch. Being exposed by a human triggers a curse that transforms witches into magical frogs. 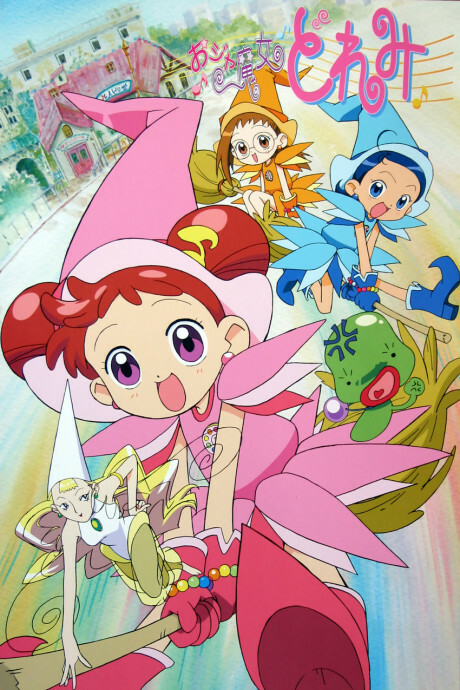 To regain her original body, Rika must turn Doremi into a witch by teaching her how to use magic. Thrilled by this odd development, Harukaze becomes a witch apprentice. Unfortunately, her two best friends, Hazuki Fujiwara and Aiko Senoo, discover that Doremi has become a magic user. Afraid that Harukaze might become a magical frog too, Majo Rika recruits both Hazuki and Aiko and makes them witch apprentices too. The trio has lots of adventures as they try to triumph the necessary trials to become real witches.